My Friday Night Sew-In didn't exactly go as planned...there was some serious potty training progress tonight that kept me from getting started until around 8 o'clock, but I had a pretty good couple of hours with some good progress to show off, and now I'm tired and need to head to bed. I've got a long day ahead of me tomorrow, visiting my mother to help her with computer troubles, and need to call it a night. I did some prep work during naptime to make FNSI go a little smoother - I managed to baste both my Make Mine Modern mini-quilt and the MHC drunk love quilt. I used spray baste for both, and my back seriously thanked me for it. I can't get over how much easier and faster spray basting is. 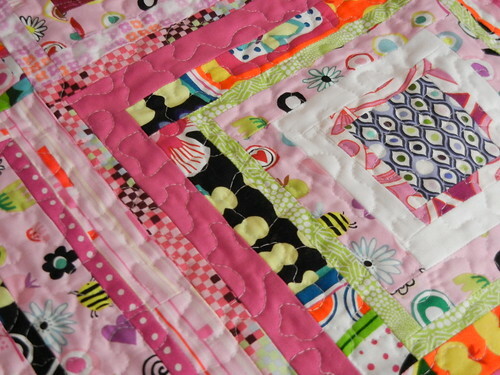 I still used a handful of pins on the edges of the MHC quilt, since it's bigger, just to make sure it didn't slip. 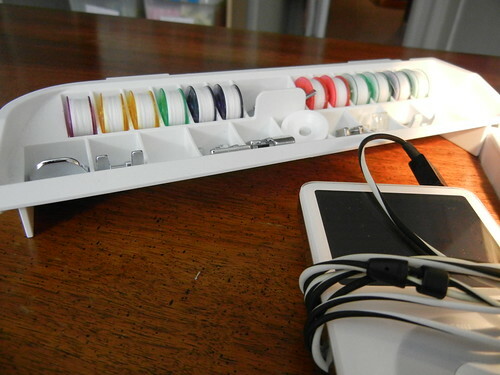 I also wound a bunch of bobbins so I'd be ready to roll tonight. I started out on my Birdie Stitches block, which was a breeze to complete. It seems like with each month, I get a little bit more proficient at embroidery and it goes by more quickly. This one is awfully cute! 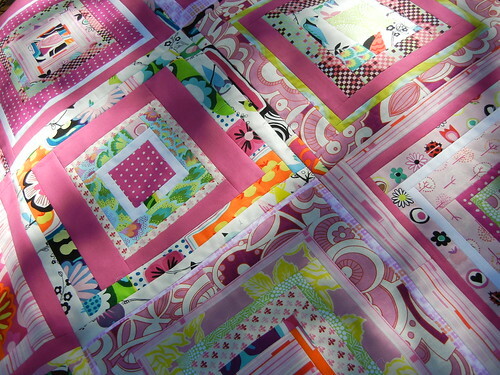 The last project I got started on was quilting my MHC quilt. I can tell it's going to take a few sessions, much as I dislike the idea of several sessions. 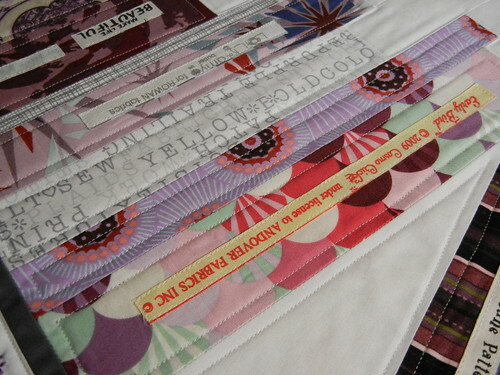 The fabrics are very busy, and it's taking a lot of focus to stipple without overlapping the stitching. Instead of going all over the place, like I usually do, I'm trying to actually stick to staying inside one block at a time, to make it easier to follow. I like how the stippling is looking so far. 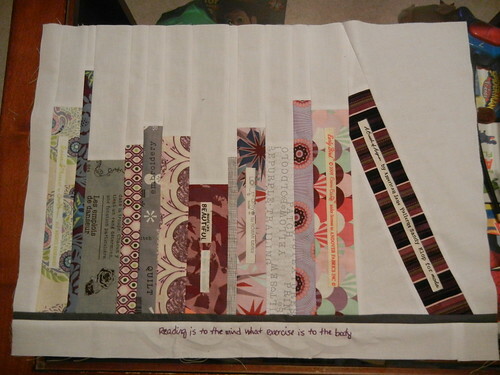 I'm two rows into it so far, with 10 blocks quilted. Only 20 left to go! So, three bobbins emptied tonight. A bit less than I expected, but I'm still happy with how my first Friday Night Sew-In turned out! Have a great weekend! 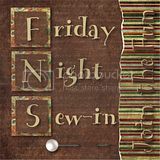 TGI-FNSI - Thank goodness it's Friday Night Sew-In! So, there's definitely no shortage of things to sew tonight, I just need to decide which one to run with.